Big on agility and efficiency, and micro in design, the Smart car is quickly becoming an urban driver’s best friend. Built to suit your urban lifestyle, these cars maneuver like a dream with quick acceleration and a smartly designed interior space that meets essential storage needs. If you’re a Denver resident thinking of making the switch to a Smart car, here are some reasons you shouldn’t wait. Standard gas-powered vehicles run the price gamut depending on their features, body style, and other factors. Smart cars may come with a modest sticker price, but you’ll end up paying less for one over the life of the vehicle. Many car buyers don’t take into account fuel efficiency when purchasing a new car, so they rarely consider how much a new car will cost each month in terms of visits to the pump. The energy required to run a Smart car is much less than that of a standard vehicle. The best part of owning a Smart car for your urban excursions is the drivability factor. Smart cars are the most maneuverable on the road, which allows you to park in the tightest spaces and squeeze around traffic. These cars are designed to accelerate with ease and zigzag through city streets like nobody’s business. They’re also more powerful than you may think which makes this option a win-win. Let’s face it; most drivers who purchase an electric vehicle do so in order to reduce their energy consumption and carbon footprint. A Smart electric coupe can significantly lower the owner’s carbon footprint because they don’t emit pollutants or utilize gasoline to operate. There’s still the issue of the cars being produced in a manufacturing facility, so the carbon footprint can’t be entirely eliminated, but when you want to be a savvy shopper and do your part to help the environment, an electric vehicle is a must-have. Smart cars are fun and stylish with forward-thinking innovations that stand out from the rest. As more people relocate to major cities like Denver and Boulder, traffic will only get worse, making Smarts the car of the future. While it’s easy to have misconceptions about Smart cars and assume they’re all boxy, golf cart-inspired vehicles, Smart car designs are actually quite vast and suited to a variety of different tastes. Since electric vehicles are cleaner than combustion engine cars, maintenance is a lot less messy. The battery will require replacing on occasion, sure, but you no longer have to get those frequent oil changes, filter replacements, and part repairs that are prone to breakage in a gasoline-powered car. That’s great news for young city dwellers who don’t want the hassle of dealing with frequent tune-ups. Smart cars are the wave of the urban future. 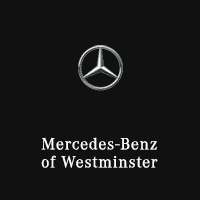 If you live and work in the big city, it may be time to give one of these innovative vehicles at Mercedes-Benz of Westminster some serious consideration.